It’s high time I get around to continuing this quest, not only because it’s been a long while since I’ve ridden a state ride, but also because, this one happens to be one of the higher elevation rides I expect to do. 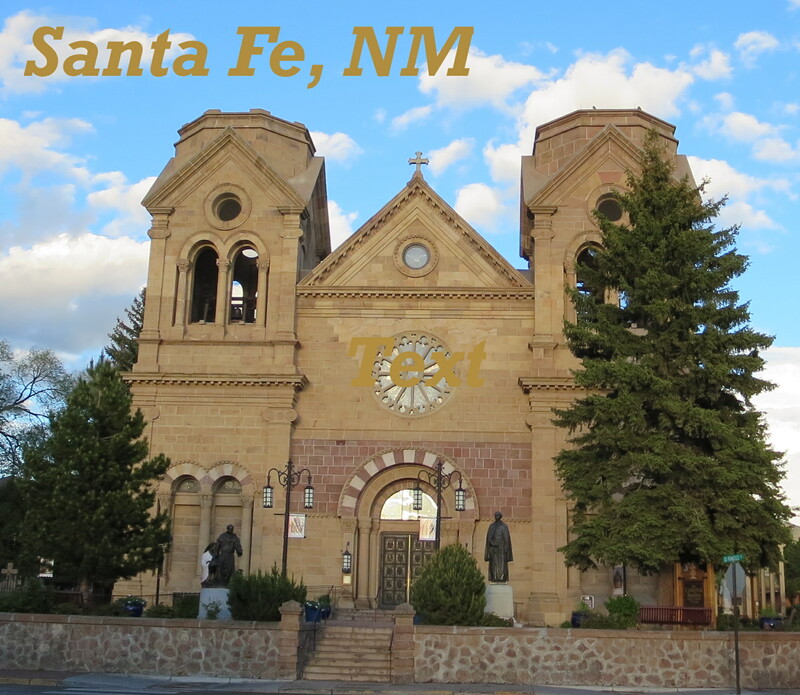 Santa Fe, New Mexico sits at just under 7000 ft. I’m guessing that the only higher elevation of a ride site I’ll do is Colorado. That however, is just a guess at this point. Santa Fe is FABULOUS. The city, that is. I’ll get to the ride in a minute, but Santa Fe itself makes this ride worth the trip. Because it’s my first Century of this year, it’s relatively early in the year and the elevation was so high, I made a vacation of this trip and drove the 1875 miles from Virginia. It was a three day trip of 10-hour driving days, but if you’ve kept up with my adventures you know, the journey is more than half the adventure. This gave me ample time to adjust to time zone changes, elevation changes and check Arkansas off the list of states I’ve never set foot in. That list is now down to 3 states; Alaska, North Dakota and Wisconsin. Anyway, back to Santa Fe. I arrived 3 days prior to the ride and taking that time to acclimatize paid off large. I spent those days wandering the charming, beautiful and interesting old town, relaxing and eating my face off. I’m not sure if there are more cool art galleries of excellent restaurants, but that decision will be for another trip. 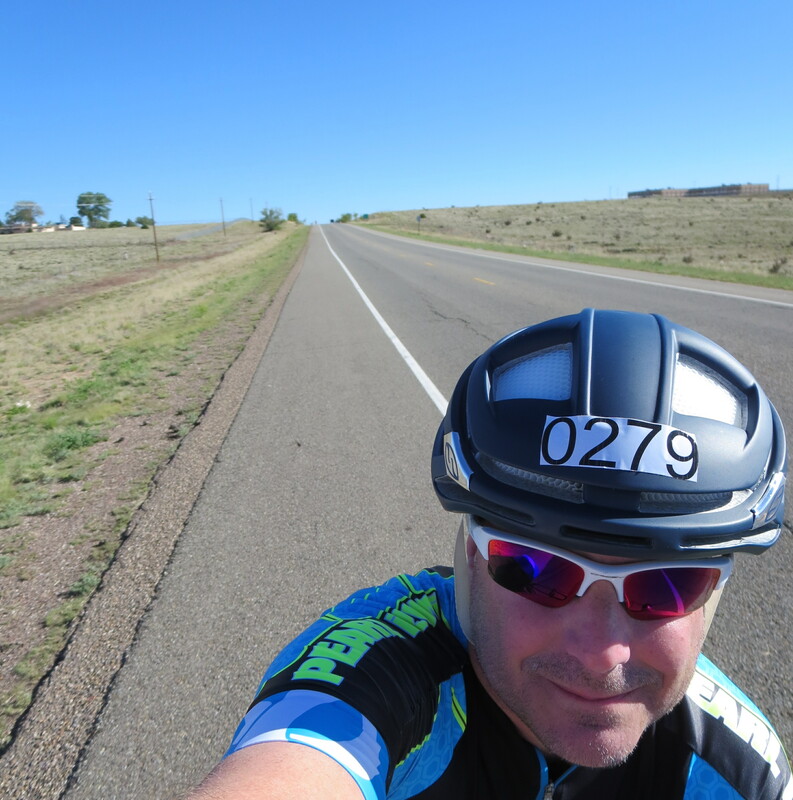 When ride day came, the weather was also fabulous, though the forecast was daunting with plenty of sunshine and moderate temps in the 70’s, but brutal 25-30 mph winds. The only way to beat the desert wind is to avoid it and the only way I know to avoid it is to get out early, before it kicks up. Luckily, this course is a simple loop, or rectangle really. Starting and ending on the south side of town, you travel south about 40 miles, cut straight east, come north about 40 miles and back west to the end. Even better, I’m sure it’s planned with the wind in mind as the prevailing blow at this time of year is from the south-south west, meaning, if you can get those first 40 miles in before the winds kick up, you should have nearly all downwind or some crosswind to the finish. Of course, that was my plan. There is a mass start for this ride but that was just a bit earlier than I wanted to be up, so I took advantage of the open rolling start option to get on the course right at 8:00 am. The sun was already inching the temperature out of the 50’s and still early enough that not a breath of wind was stirring. 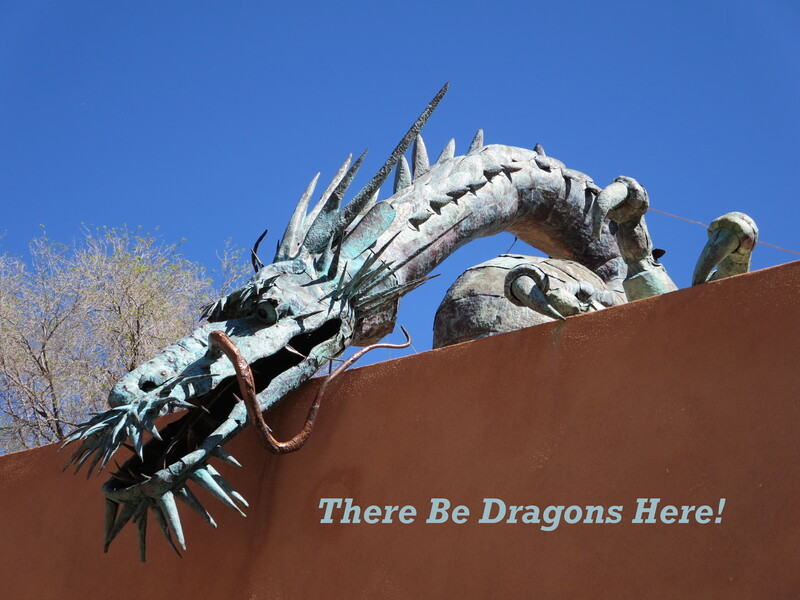 A few warm-up miles through town and you start the long trek south through the high NM desert. Now if you’re planning to go ride at elevation out West, make no mistake, three days is not enough to completely compensate for going from sea level to 7000 ft. I could definitely feel it as even easy riding had my heart rate somewhat elevated and feeling more out of breath than I normally do for that level of effort. The upside to all that is a very easy decision to keep the effort level under control and spend more time enjoying the surroundings, which I admit, were pretty bleak for the first 15 miles. However, as we got down towards the old mining town of Madrid the topography began to change. A bit hillier, a bit greener, a bit prettier. Starting just before Madrid and continuing several miles past is the first, and most challenging climb of the ride. It never gets terribly steep, but it is fairly long and again, more of a challenge than it appears given the elevation and fact that by the time I got there it had become not quite windy, but at least breezy and in the face. Cresting out at Stage Coach Pass takes most of that away with stunning vistas both east and west of the valley below. After the fun descent in to the valley it’s a few more miles to end of the ride southward, but not before you reach Heartbreak Hill. There is a rest stop immediately prior, just to give you time to work up some good anxiety. But fear not, while difficult and double digit grade steep, it’s pretty short at about 3/4 of a mile. Spin, spin, spin and before you know it you’re cresting the summit. From there it’s about 8 miles to Cedar Grove and the hard turn to the east. What I did discover though is that by now breeze had become wind, with dozens, if not hundreds of miles of flat valley with nothing to abate it. This made the short section of due west pedaling quite the shock, headlong into 20 mph in the face. However, this was more than made up for when I made the eastbound turn and made the 9 mile crossing from Cedar Grove to Stanley at a 23 mph average without even trying. It’s nice to go downwind. Now the mind-teasing part of this ride comes at the end with 14 of the last 20 miles uphill, and those last six at least partially into the wind. It’s a mostly gentle climb with only 1 steep section of about 7%, but at this point in the ride it did wear on me. 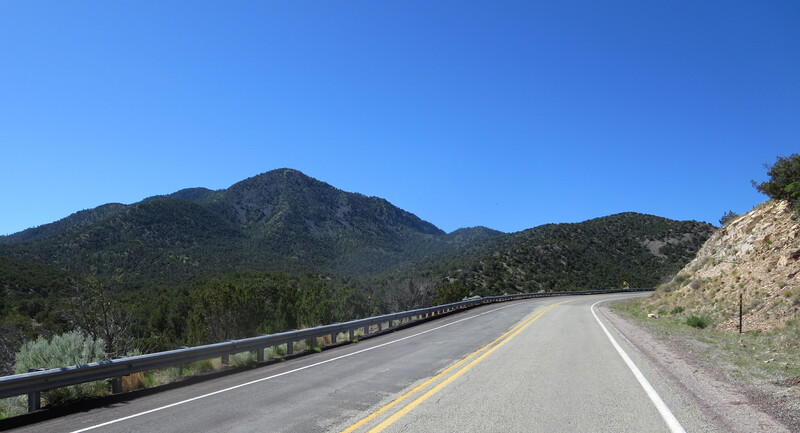 I was ready to be at the “top.” I wouldn’t say this last part was particularly scenic, although the long distance views up to Taos with the mountaintops still covered in snow was a vision, especially since you knew you weren’t having to climb them. So I was quite happy and thoroughly worn out when I came across the finish. This is a good ride and a fun one. It has great participation, is extremely well supported by excellent volunteers with plentiful, well stocked and well spaced rest stops. Not the most scenic but I do enjoy the western desert and the chance to visit Santa Fe for a few days makes it definitely worth riding. 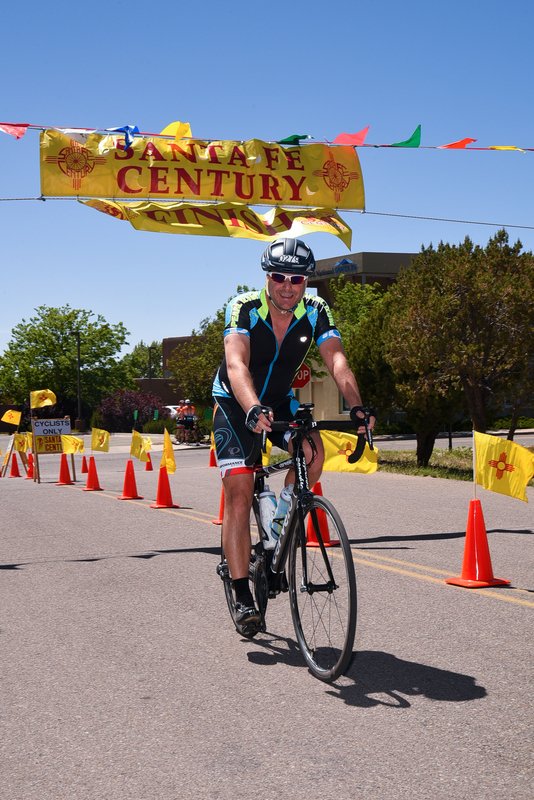 This entry was posted in Uncategorized and tagged Century Ride, New Mexico, Santa Fe, Santa Fe Century on June 4, 2016 by PR-Bike.